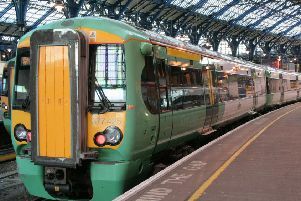 Brighton MPs said the chaos on the rails is ruining people’s lives, and criticised rail bosses for having ‘no sense of urgency’ after huge disruption this morning (July 5). Commuters were advised not to travel from Brighton to London Victoria by train after a signalling fault closed the Mainline at Streatham. The Labour MP said this week, he and Caroline Lucas, the Green MP for Brighton Pavilion, met with Jo Johnson, a minister for the Department for Transport.